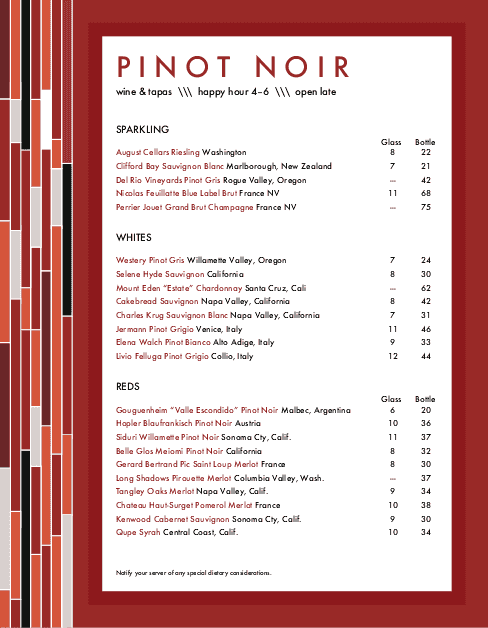 A vintage wine menu in letter size. 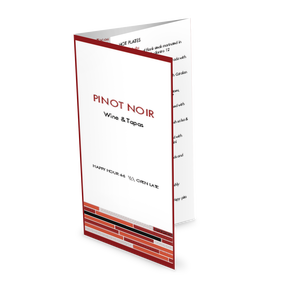 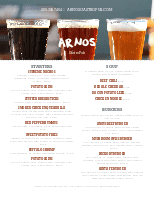 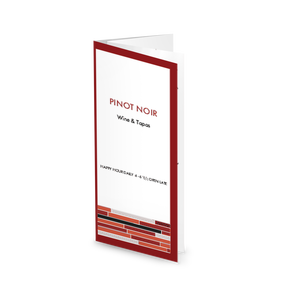 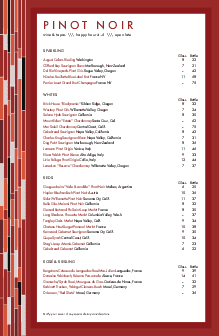 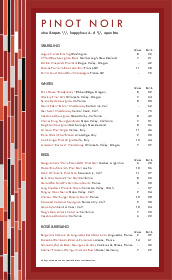 A cranberry-colored border with a modern geometric pattern frames the white page, where red wines, white wines, and tapas or tasting menu items are listed in a single column. 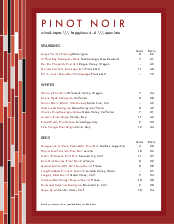 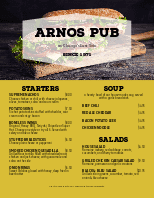 This wine bar menu can be created online in the Menu Editor.